This morning I sauteed red pepper, green onions, garlic, and basil. 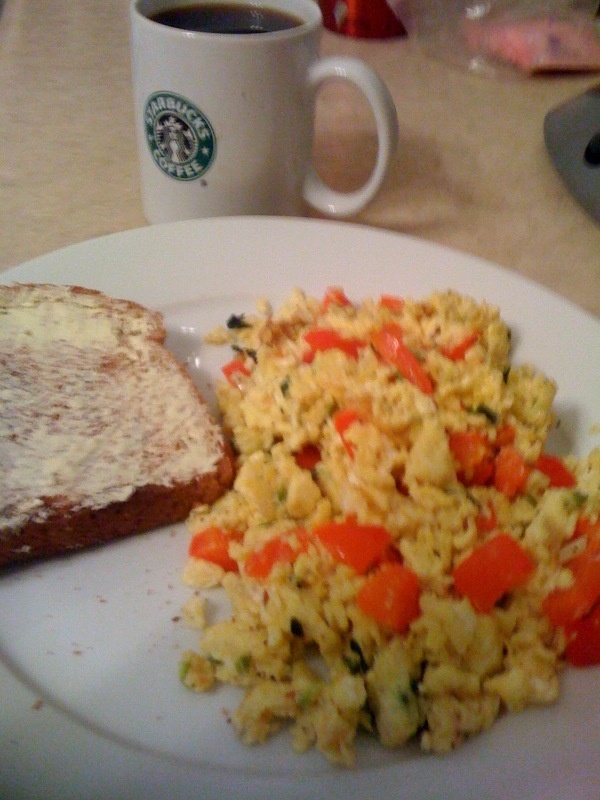 Scrambled three eggs with red pepper flakes, salt, pepper, and paprika. Added this mixture to what was sauteing in the pan and cooked for a short while. Then added feta and asiago cheese.